While my last name is Donahue, I am not of Irish heritage. My husband is! However, I was very excited to visit Ireland which had been high on my bucket list for a long time! We took a whirlwind tour of the southern half of Ireland and had the most amazing adventure. And for those timid drivers out there, we drove on the opposite side of the road and survived! Actually, we did a lot of driving on this trip which might not be for everyone, but it was such an amazing way to see this gorgeous country! I LOVED County Cork. We landed very early in Dublin and immediately picked up our rental car and headed South. We stopped in Waterford (yes, the home of Waterford Crystal) very early and then, continued along the coast which was pretty unbelievable. It’s less wild than the Western shores of Ireland and the perfect shade of Irish green. We went kayaking in Townsend Bay which was an amazing way to see adorable villages and learn all about the history of the region. We also stopped by the Jameson Factory which is very fun for all your Irish whiskey drinkers out there! We also made a quick stop in the adorable seaside town of Kinsale which was among my favorite towns in Ireland. 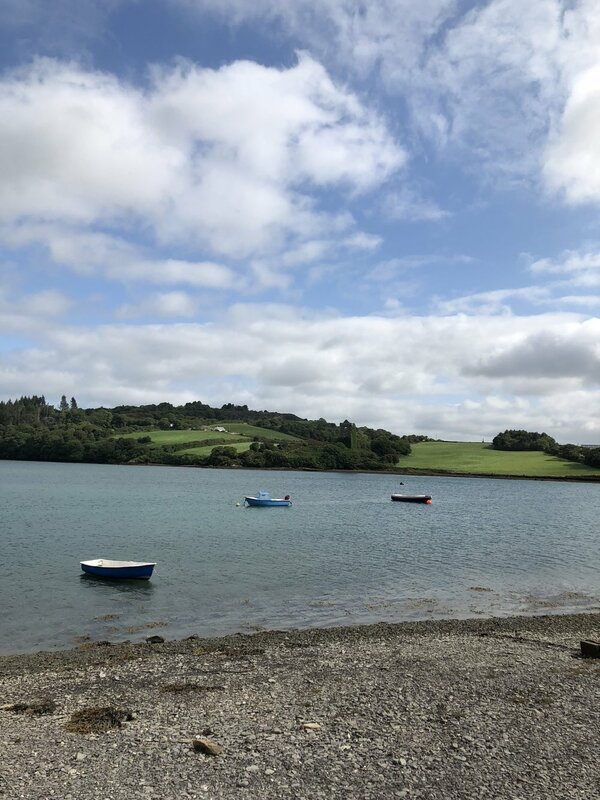 After stopping in Kinsale, we headed north on the Wild Atlantic Way. After two nights in Cork, we headed to County Kerry which has more dramatic scenery and more tourists. We spent a morning hiking the Gap of Dunloe which I loved and then continued to the Ring of Kerry in the afternoon. Killarney (which you may recognize from the Christmas carol) is a very pretty town but can get a little clogged with tourists. Following our driving adventures in Kerry, we headed north to Ballybunion (where my husband played golf) and the Cliffs of Moher. After a very brief and foggy stop at the Cliffs of Moher, we headed to Limerick. While Limerick doesn’t always have the best reputation, we had fun here! The town was in high spirits as they were playing in the All Ireland Hurling Finals that weekend. We also had one of our best meals here! After a quick overnight in Limerick, we drove back to Dublin and returned our rental car. 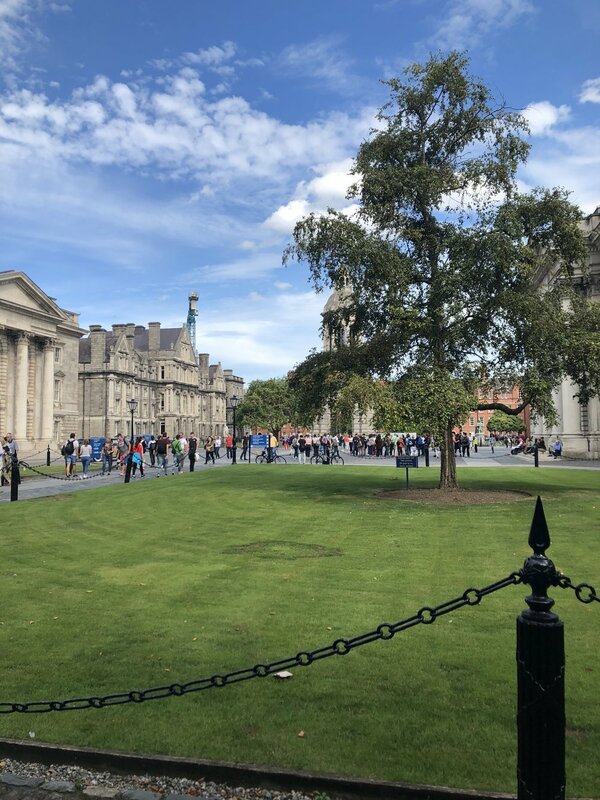 Dublin is an amazing city with so much history! It truly has something for every interest and is really, really beautiful. We were able to find a great pub for the Hurling final and join in the fun even though we knew nothing about Hurling. And yes – the Guinness really is better here! We stayed at the Marker Hotel which was in a cool up and coming part of Dublin near all the tech headquarters. It had a very chic rooftop bar that offered amazing views of the city!